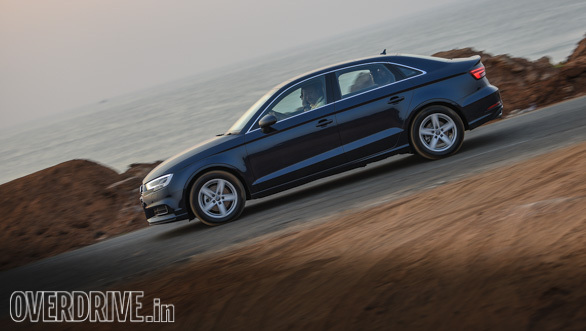 Audi has readied a facelifted A3 for the Indian market. 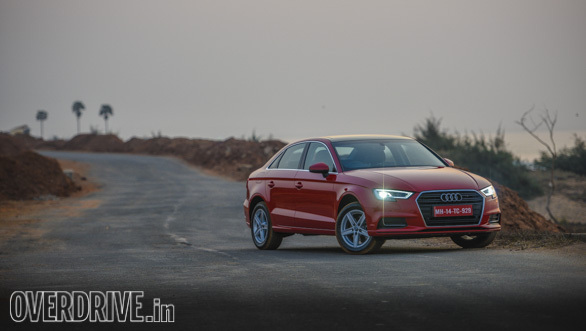 The car was introduced in the Indian market in 2014 and Audi says that it accounts to almost 15 per cent of their sales in India. Along with refreshed looks, the company also has a mix of updated engines. Is it better than before? Let's find out. You can immediately say that there is a hint of freshness to the design. Be it the headlamp, grille, the sides or the tail. The headlamp itself, however doesn't have the Matrix LEDs as seen on the international model and instead comes with optional LED projectors. Audi offers Xenon headlamps as standard. There is also a LED outline surrounding the lamps. The grille is now a sharper unit while the bumpers too have been revised and now have a chrome strip in place of the fog lamps. 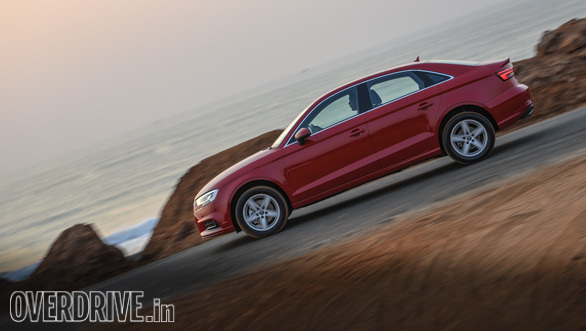 Audi has added new 16-inch alloys and they flow well with the overall design of the A3. Dynamic turn indicators (only at the rear) make their way to the A3 this time around while the rear faux diffuser looks good too. An integrated spoiler and LED lamps round off the changes to the rear. 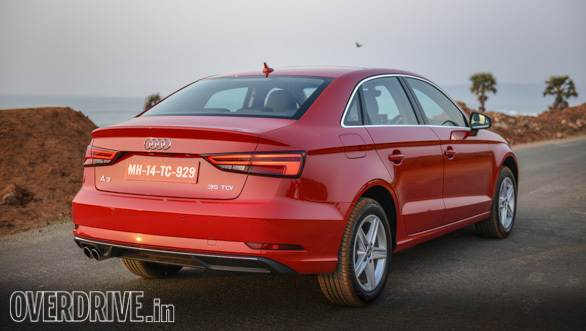 The freshness aside, when viewed head-on, the smaller Audi looks similar to the new A4. However, the front 3/4th angle as well as the badges show which one is the bigger Audi here. There isn't any major difference in the A3's interior compared to the outgoing version. Audi though is quick to point out the new and must I add good-looking three spoke steering wheel, 2-zone climate control, wireless charging under the front arm rest (segment-first), standard Milano leather upholstery as well as panoramic sunroof. 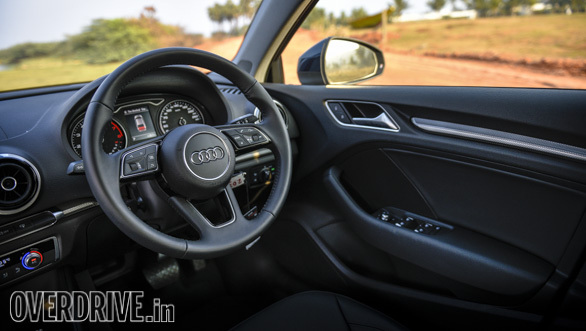 Audi has chosen to give the virtual cockpit effect as seen on the Euro-spec model a miss on the Indian version primarily for cost effectiveness. It will have been nicer to see Audi offer it here as well, atleast as an option. Seating space, while better than the competition, was still cramped for four grown-ups. Headroom as well as kneeroom was barely sufficient for a 5'7" tall passenger. A tall driver like me will leave space for just a small child behind. The front seats in the variant that we drove, were electrically powered minus the memory function. The door pockets will hold 500ml water bottles and a couple of hand napkins. 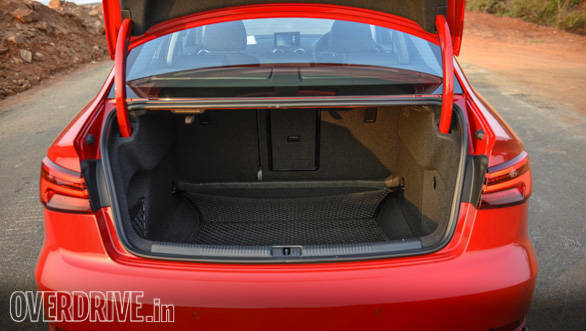 The luggage capacity is 425 litres and is usable thanks to the spare wheel strapped under the load bay. A mention here must be made of the Audi music system that delivers crisp audio notes. 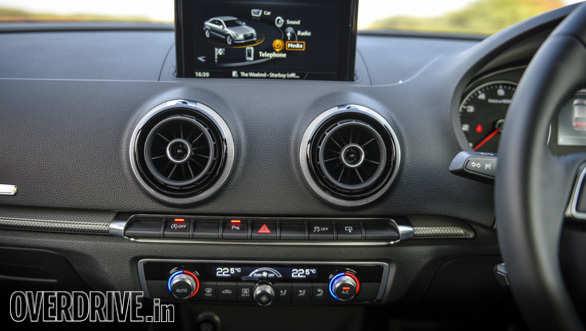 The 7-inch pop-up screen on the top of the dash is a neat feature, however, given that even sub-Rs 10 lakh hatchbacks now offer a touchscreen unit as well as Android Auto, Apple Car Play, this one is a miss. 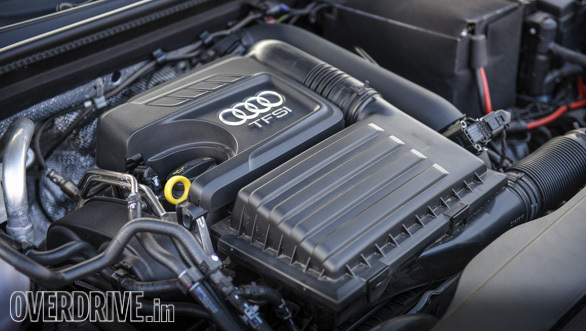 It was widely speculated that India will get the same 1.8-litre TFSi petrol motor from the previous car, it isn't. There is the same 4-cylinder turbo 1.4-litre from the A4 but running in a slightly lower 10.0 compression ratio than 10.5:1 on the A4. 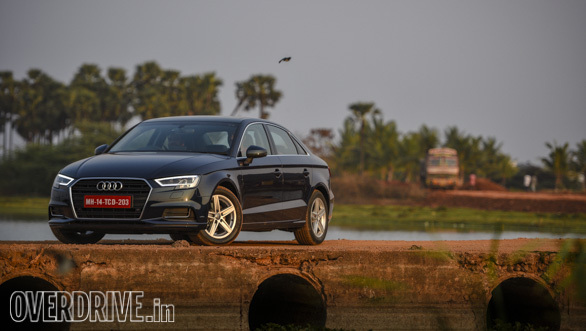 However the engine the A3 makes the same 150PS/250Nm and at the same rpms as the A4. The power however is almost 30PS down from the older 1.8 unit. Unlike the A4 though, this engine comes with Cylinder On Demand or CoD. What CoD does is,under low load conditions or coasting, it deactivates two cylinders. In theory, this contributes to a higher fuel efficiency and lower emissions. 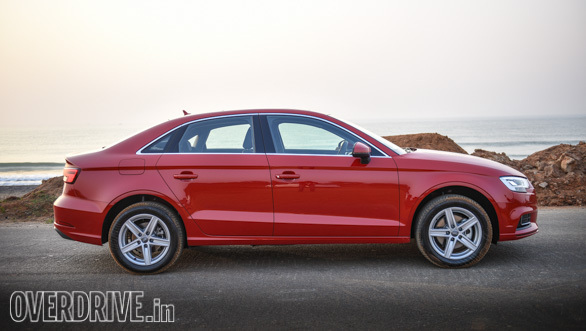 Audi claims that the 1.4-litre will deliver a fuel efficiency of 19.2kmpl, almost 3kmpl more than the outgoing engine. Audi wanted the CoD process to be as non-intrusive as possible and they have achieved it to a great extent. On the move, you will not feel the two cylinder being deactivated when cruising or any sudden rise in the tachometer needle without any accelerator input. At low speeds, the motor is supremely refined and feels punchy. However up the speeds and she seems to struggle a bit. The engine is best enjoyed in the 1,400-3,800rpm range. Beyond this, the engine voices it's disapproval with slight vibrations through the pedals and without much progress being made. The diesel, Audi says, doesn't get CoD due to the complexity of operations. 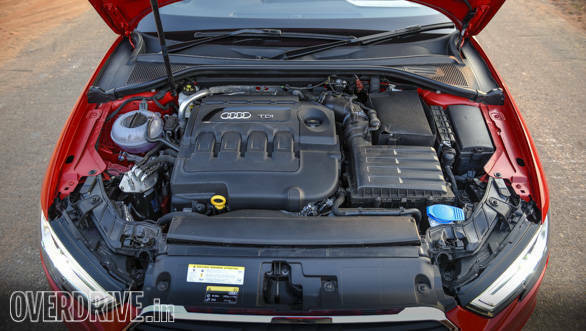 Audi uses the trusted 141PS 2.0l TDi in the new A3 - same as before. While the petrol gets a 7-speed automatic, the diesel makes do with a 6-speeder. The diesel engine is fairly quick to rev and has lots of torque right from the word go. It is the more relaxed of the two engines at high speeds and is an able mile muncher too. 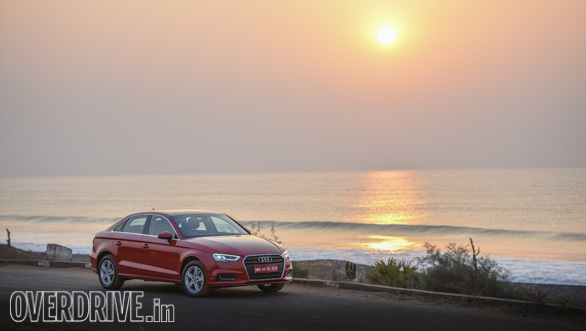 The Audi A3 facelift gets the same multilink suspension from the outgoing car. The arrow straight roads in Vizag along with diversions on the road meant that we couldn't really assess the handling of the car. Audi hasn't altered the suspension so I expect it to be the same as the previous model  one with a planted feel at high speeds and with less body roll around corners. The low speed bumps are absorbed nicely by the suspension, however high speed ruts do cause some of the jolts to filter into the cabin. These aren't really alarming though. The steering wheel feels nice to use. The Audi A3 facelift looks good. It comes with a new smaller but rather inspid-to-drive yet fuel efficient petrol engine. The diesel A3 in the meanwhile makes sense. If I were in the market for an entry-level German sedan, I will pick the A3 diesel. It is effortless to drive and doesn't lack in any features from the petrol trim. Besides, as is usual with the German carmaker's pricing strategy, the diesel will be much more affordable when the facelifted model goes on sale next month.